King & Bay offers a luxury wedding experience for grooms and their wedding parties in our Brookfield Place Lounge. With our custom shoes, you can now design extraordinary footwear to complement your finest garments. From button holes to boutonnieres, tips to ties, our Master Clothiers will help you personalize every detail. Give the Gift of Custom, Curated Style. It's the perfect gift for the discerning man who values design and quality in his garments. 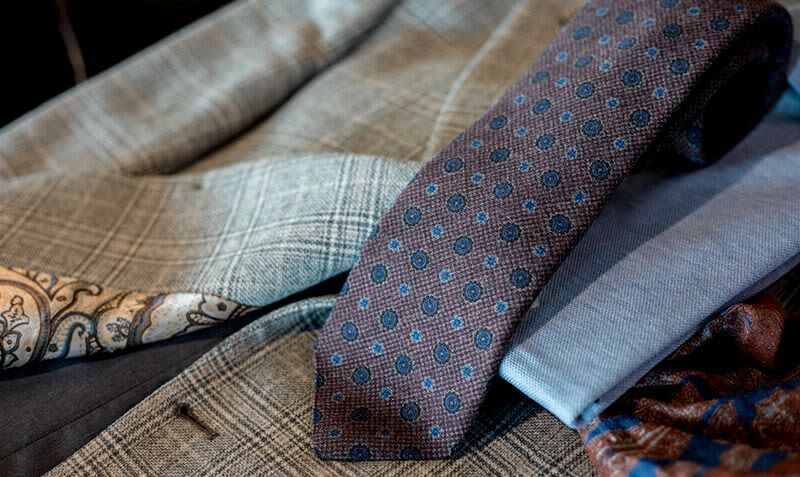 You'll feel luxurious in the perfect suit constructed with the worlds finest Italian fabrics for Spring 2019. Nail the trend towards lenient corporate attire, with a sophisticated casual look that speaks confidence. CLIENT STORIES: Quality meets quality with Boi1da’s custom King & Bay jacket for the 2019 Grammy Awards. Business Experience the craft of King & Bay with a customized – and personalized – approach that ensures you make an impact. Weddings Ensure you and your wedding party look your very best, with sophisticated, elegant custom suits for for your special day. Personal Style Express your unique style through the art of dress, endless customization and a meticulous attention to detail. The King & Bay experience is crafted for discerning clients interested in quality, attention to detail and an eye for design. By appointment only at our Brookfield Place lounge. 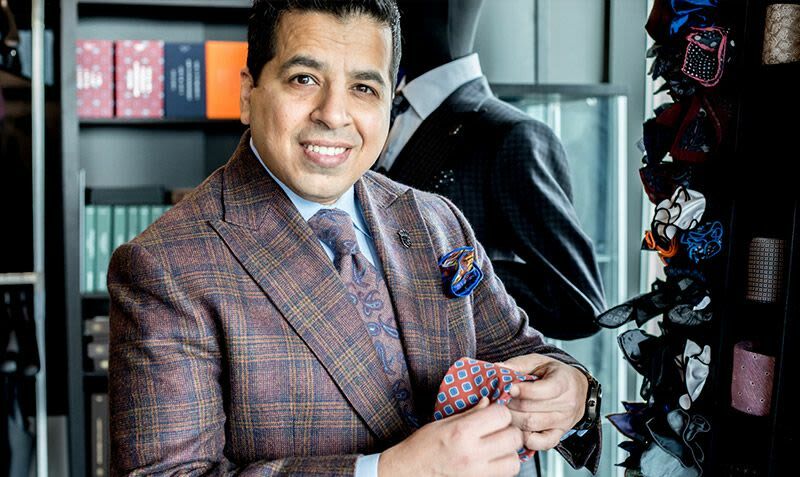 For almost a decade, discriminating clients have trusted the Master Clothiers at King & Bay to interpret their personal style and dress them with quality and sophistication. 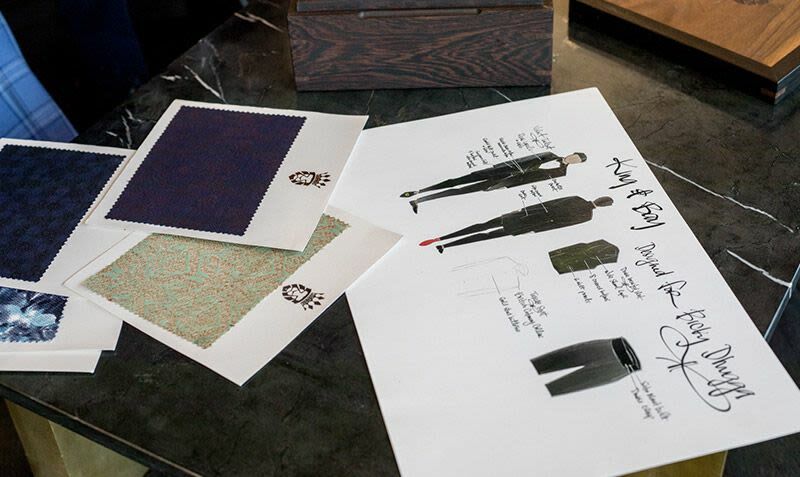 We believe custom and bespoke menswear is making a resurgence. Men are rediscovering the importance of their appearance and how it impacts their success in a competitive world. Ready to invest in the impression you make? From the boardroom table to the buffet table, the upcoming Holiday season offers a great opportunity to show up in style. 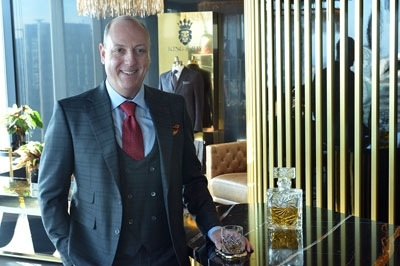 Our Master Clothiers have more than a few ideas to get you on your way. 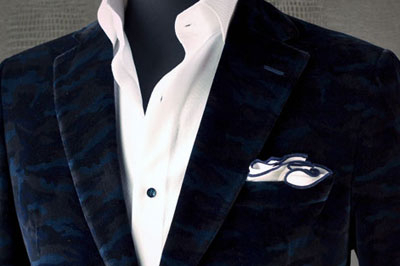 Every week we post new images of custom suits, shirts, smoking jackets and other garments.